It's Christmastime, and the Fairchild family is spending the holidays on idyllic Sanpere Island in Maine while the Reverend Thomas Fairchild recuperates from surgery. His caterer wife, Faith, is rejoicing in the rare, holiday family-time together--watching ice boaters, snowshoeing, and doing plenty of reading in front of the fire. 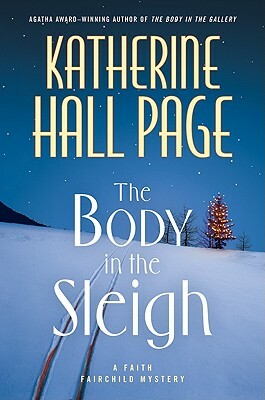 But Faith's high spirits are dampened when she discovers the body of a young woman in an antique sleigh in front of the Sanpere Historical Society. The victim, Norah, was a teenage drug addict who apparently died by her own hand. Beloved by many, her untimely death rocks the isolated, tight-knit island community. Meanwhile, Mary Bethany, a local spinster who raises goats, happens upon a newborn baby boy lying in the manger of her barn on Christmas Eve. The only clues to his identity are a note in the basket asking her to take care of him, as well as an alarming amount of cash. As Faith helps Mary locate the baby's mother, she soon finds that the truth behind the abandonment is connected to Norah's last days--and that, just as death and life are intertwined on Sanpere, so are evil and redemptive goodness.